Not a Rowdy Yates in sight in this western set in a stop over for the California to St Louis mail stagecoach run. The two staff are warned that four dangerous outlaws are in the area, and together with a female stage passenger and her baby they wait patiently for the word to go round that these men have been caught. Can you guess where the outlaws decide to hide out while they plan a large gold robbery? 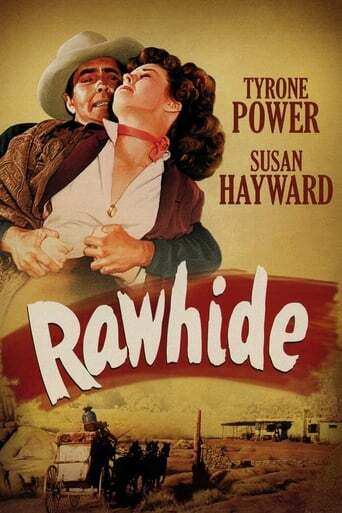 What follows is a film that concentrates on small details (like attempts to slip a warning note to a passing stage, or to reach a hidden gun that the bad guys don't know about) as the captives try anything to get away from the outlaws.